As the children become older and are more adept at using tablets and websites, we have spent a lot of time searching for appropriate apps that will not only engage the children but will also teach them and help them learn at the same time! Easy? Nope! In fact, considering I used to be a Primary teacher and would set various learning websites for homework, as a parent I’ve been discovering that they just don’t work! Too many times they are games based and the children can either pass each level through guessing (or pure luck) OR they are so fast paced that the children never have time to really think about the answer. Not ideal for either of my children – both children need significantly more time to think through their answers so timed based questions just don’t work for them! So when KidSmart asked if I’d like to review their new learning App, I was really excited to see how it worked. The first thing that I noticed, and loved, was how easy it was to set both children up using different avatars and in different age groups. Not only that, but it is clearly set up to run alongside the National Curriculum and by Year Group, so I knew that the children would be doing activities which were relevant to themselves (in other apps and games this is often not the case!) 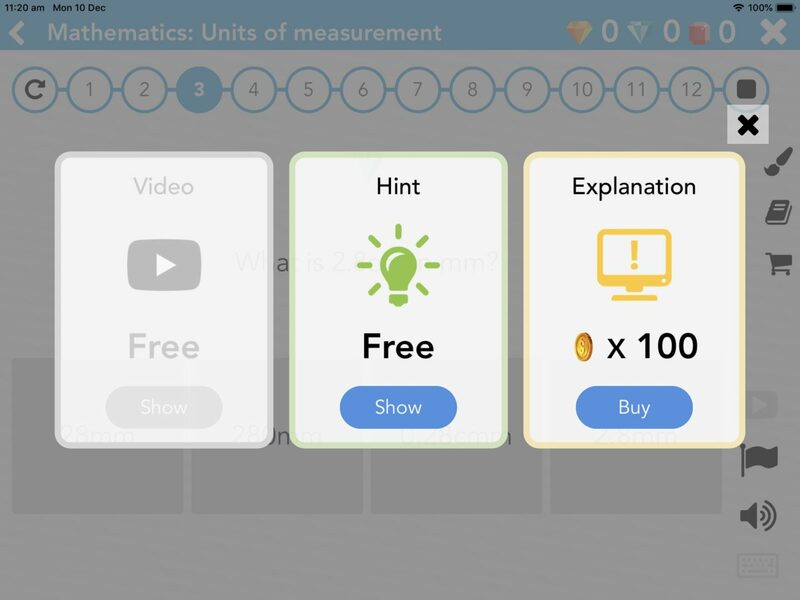 It makes it so easy to either target the areas you know your child is working on in school, or to allow the app to self select safe in the knowledge that it’s not going to start quizzing your 6 year old about mixed fractions! The controls and dashboard are really straightforward to use. You can toggle between your child’s dashboard and the parent dashboard, making it so easy to see what your child has been doing, and to target the areas they are struggling in if needed. Even better than that, the app is set up so that the children aren’t able to change the subject they are working on! 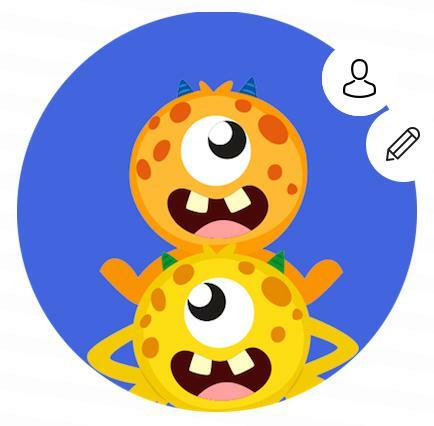 The founder of the app, Baljeet, realised that too often children will opt out of the subjects they are not so keen on, so the app is set up to pick topics randomly unless the parent changes it on the dashboard. The premises behind KidSmart is that children learn best when learning is built upon prior learning, as opposed to learning through pure game play. This premises makes a huge amount of sense as this is exactly what schools do – and the app in many ways mimics the teaching in schools. Each subject (from Grammar, Words, Spelling, Mathematics and 11+) is broken down into very small steps, and the children then work through a variety of questions, accompanied in many cases by pictures to help them work things out. This is added to by the ability of the child to ask for help from the app, through either hints or through a dictionary section – which is brilliant as it really gave my children the ability to lead their own learning rather than always asking me. With 12 questions for each small step, it allows your child to really work through each section, and to ensure that they are able to grasp the concept before moving them on to the next section. In a lot of other learning apps, the game play moves so quickly from one concept to the next that there is no time for your child to consolidate and embed it. KidSmart makes sure that there is consolidation for each idea BEFORE it allows your child to build on it! 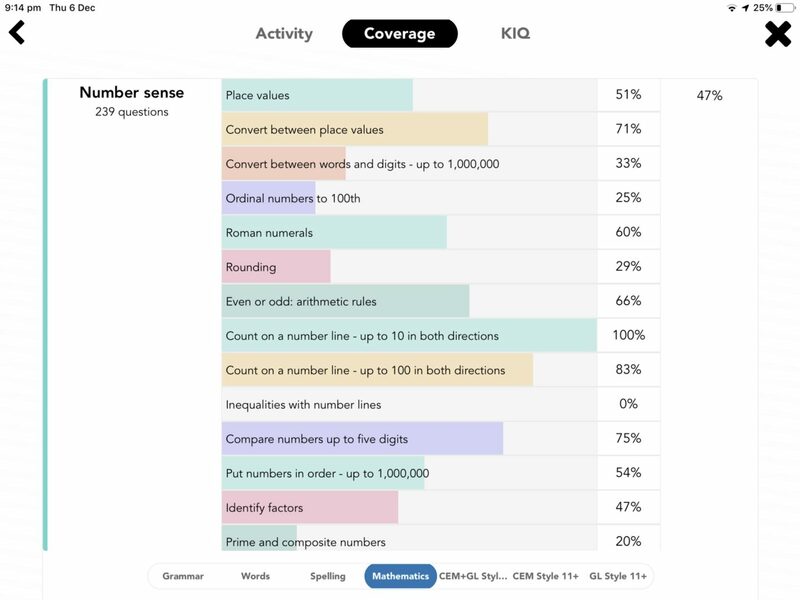 I was very impressed with the way that KidSmart has taken a more structured approach to learning and integrated it with some really fun ideas! One of the ones that my children liked best was the ability to ‘earn’ a number of coins for each attempt that they did, and to then spend these coins in the shop. Normally I’m not a huge fan of shops in apps as my children can want to spend more time looking at different outfits they can buy their avatar than actually learning. KidSmart though have taken a very different approach! 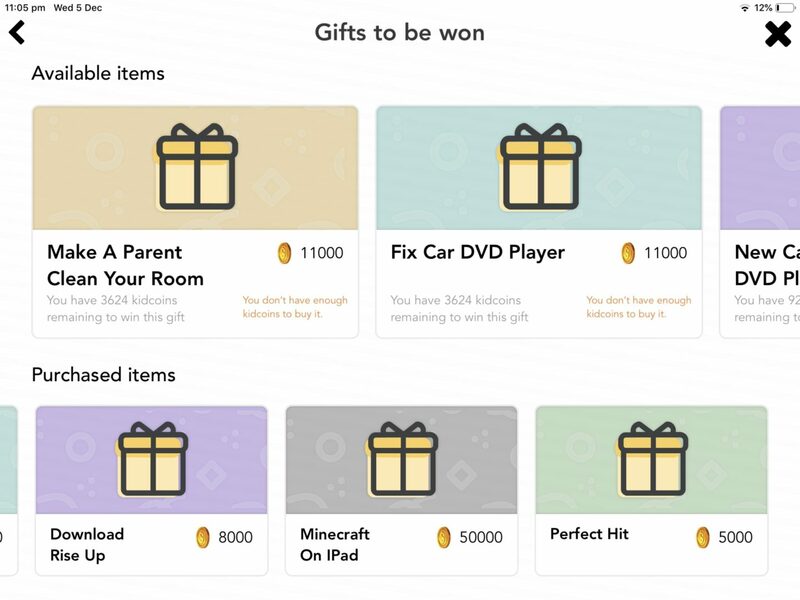 Instead of the children earning money to ‘buy’ extras for the app, with KidSmart as a parent you can put in your own choice of ‘gifts’ that the children can win! So far in ours, my 6 year old is working towards earning a new game for his console, and my 8 year old is working towards earning a cinema trip out with me. It’s making such a difference to them that they are receiving something in real life and it is also showing them what hard work can get you – a lesson that I’m determined that they understand as they grow up! Not only this, which is a lovely idea, as the children work through different lessons, they are also able to ‘earn’ different stickers for various places such as the zoo or outer space! Each time they complete a lesson they are rewarded with a new sticker which is placed onto a sticker chart within KidSmart. Each of the stickers can then be clicked on and the app will give you a little bit of information about the sticker they’ve earnt! 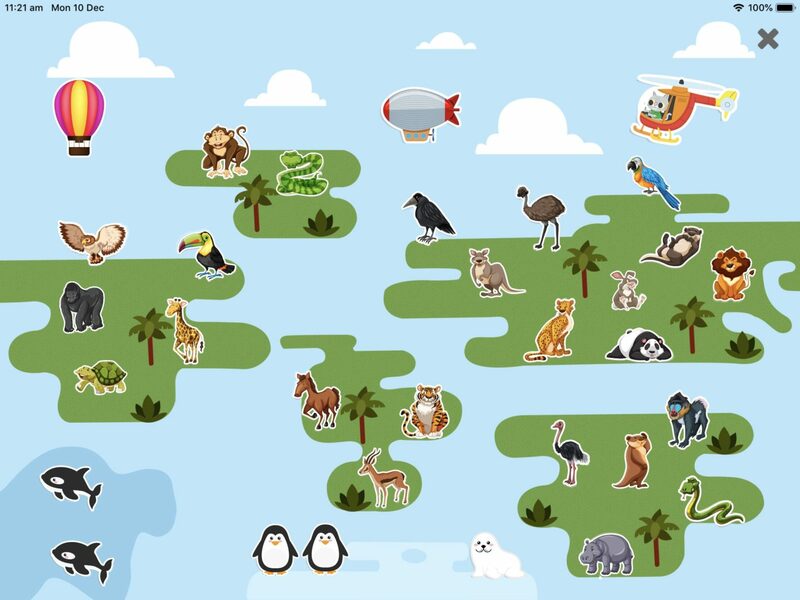 Both of my children have the zoo sticker chart and we are learning loads about different animals each day! It’s a really great add to the learning, and both children are excited to see what animal they get next! We have been really impressed by the KidSmart app overall. It is one of the only learning apps that we have come across that is based strongly in knowledge rather than having the game as the main draw – and it’s exactly what we need as the children move up through Primary School. I’m also excited to see how we get on with the 11Plus sections as the children move into Year 5 and beyond, as I have yet to come across any other app that works on the 11Plus! So it’s a huge bonus. To find out more, and to get a whopping 20% discount for anyone registering before the end of February, head over to www.kidsmartapp.co.uk and click on ‘Get Early Access’. Then as soon as the app is live (which will be by the end of February) you will be sent the link to the app store to download it! Disclaimer: We went sent the KidSmart App in order to provide an honest review. All opinions and thoughts are our own and we only recommend items that we truly believe in and will use ourselves.